Our satellite maps are updated every half hour. We also make a movie of each day's weather activity. Each day is a 48 framed animated GIF file. Click here to go to the source of the weather maps. The movies are 24 hours behind the current date. They are a combined animated gif of every half-hour image. You can see older weather movies too. This map was made with ImageMagick. It is installed and ready for any metasphere.net hosting account. Here's what mother earth was doing yesterday. 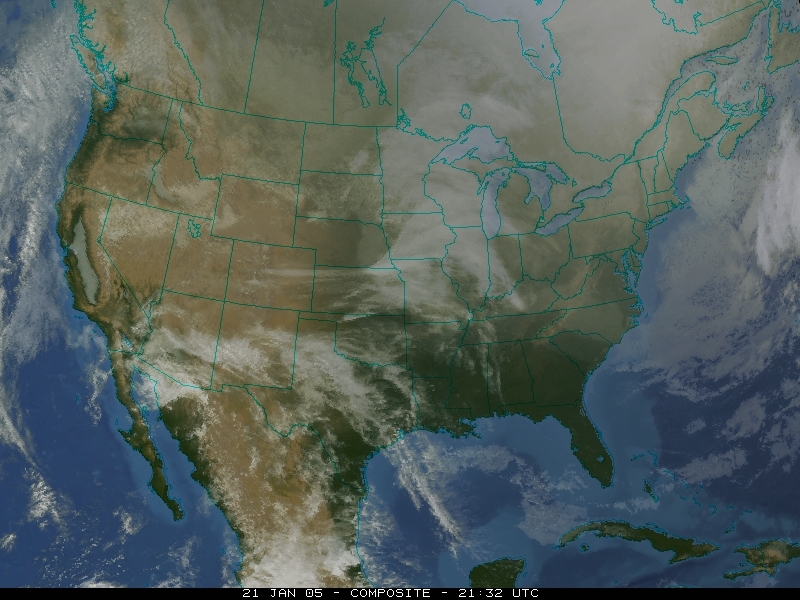 Below is a current live satellite image of North America. This picture was taken less than 30 minutes ago.